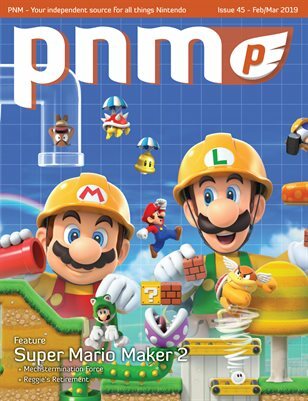 Our February/March issue goes in depth on Super Mario Maker 2. There are a lot of new features coming to the sequel including slopes, a plethora of new items, themes and much more. Check out Trevor’s cover story to see all the new goodies. We also spoke to the creator of the Gunman Clive series about his newest title: Mechstermination Force. This unique platformer combines elements of Contra and Shadow of the Colossus to great effect. Look for this title on the Switch this Spring. We also detail the latest Nintendo Labo VR Kit, more from the recent Nintendo Direct, and the newly announced Pokemon Sword and Shield! Be sure to check out Katelyn’s latest Culture Connections topic and Jaime has another mouth-watering recipe to share with us. As always, we have the latest news, video game art, pixel puzzles, reviews, and more packed into each page! Happy Gaming!